Everyone’s invited to bring lawn chairs, beach blankets and enjoy beautiful live Hawaiian music under the sunset sky. Lovely hula dance completes the evening. When the sun sets and the music is over, enjoy a stroll on Alii Drive, and check out the many food venues. 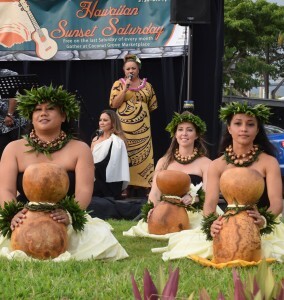 Hawaiian Sunset Saturday happens on the last Saturday of very month starting July 29.